Consider an isosceles triangle with a height of 24 and a base of 12. What is the area of this triangle? The formula for the area of a trianlge is A = base * height * (1/2). Calculate the area of an isosceles right triangle who's hypotenuse is inches. 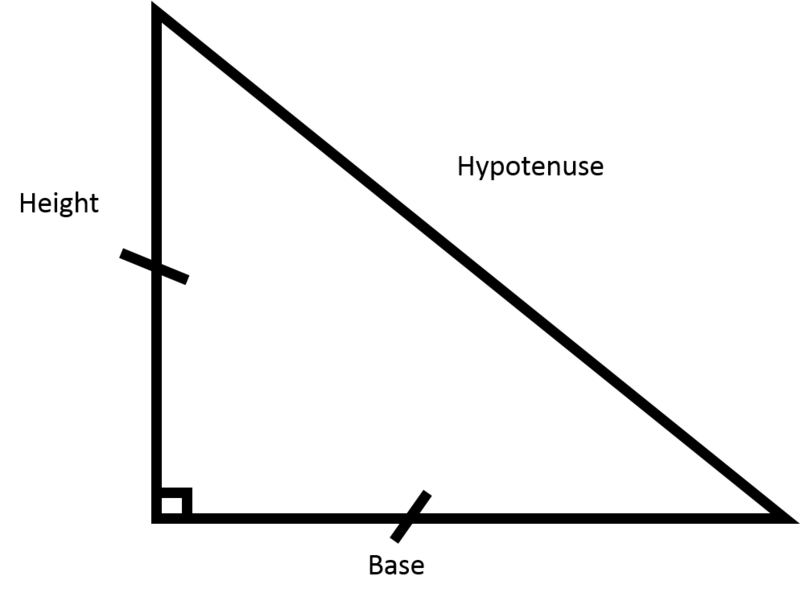 The formula for the area of a triangle, right or not, is one half the base times height. 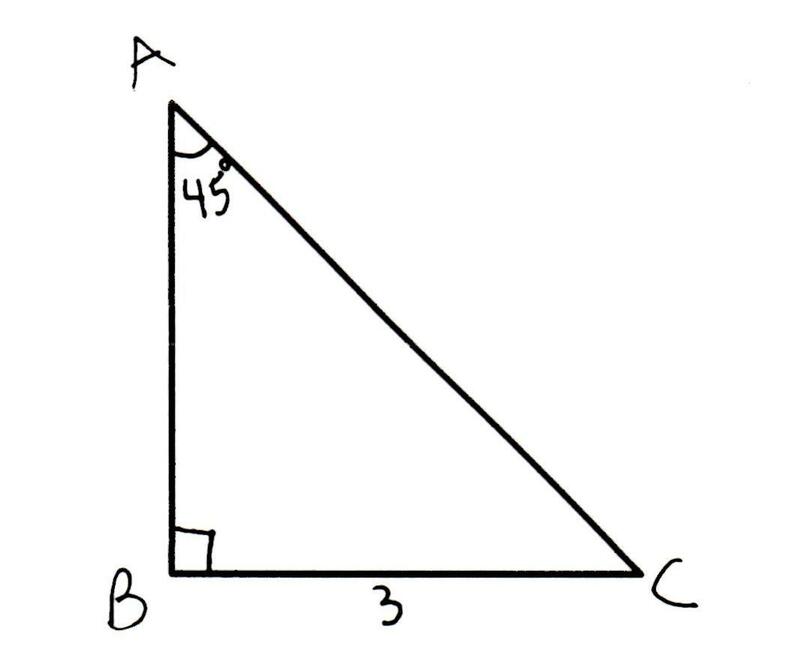 The side length of the 45-45-90 right triangle is , find the area of the right triangle. The key to finding the area of our triangle is to reaize that it is isosceles and therefore is a 45-45-90 triangle; therefore, we know the legs of our triangle are congruent and that each can be found by dividing the length of the hypotenuse by . 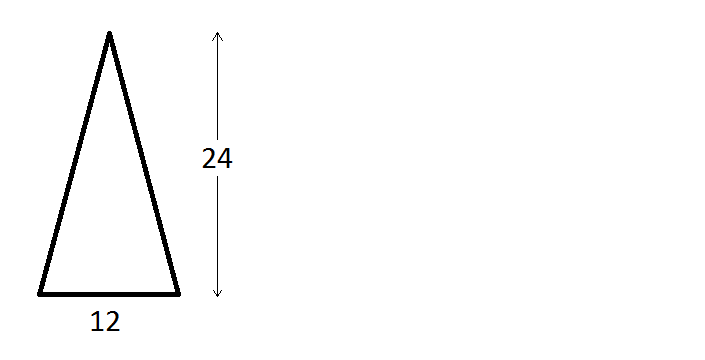 where is the base and is the height; however, in our right triangle, the base and height are simply the two legs; therefore, we can calculate the area by substituting. Find the area of a triangle that has a hypotenuse of . 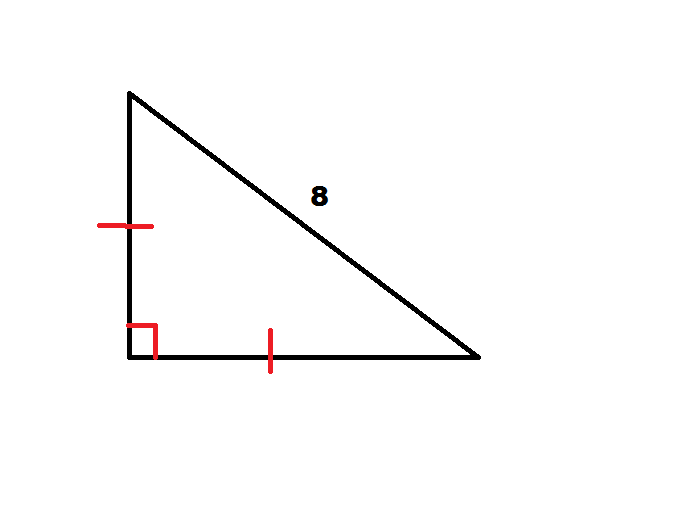 To find the area of a triangle, we must use where b=base and h=height. In the problem, the only information given is what type the triangle is and what its hypotenuse is. Given the area equation, the problem hasn't given any numbers that can be substituted into the equation to solve for an area. This means that the hypotenuse value must be used to determine the height and the base. Because this is a 45/45/90 triangle, this means that it is also isosceles. Therefore, we can logic out that the base and the height must be the same. If we were to use the Pythagorean Theorem, since we've already determined that b=h, that mean a=b in the equation. Let's say that . Now to substitute in the value of c to solve for the height and base. Now that we have the base and the height, we can substitute the values into the area equation and get the triangle's area. Find the area of a triangle with a hypotenuse of . If we were to use the Pythagorean Theorem, since we've already determined that b=h, that means a=b in the equation. Let's say that . If the hypotenuse of an isosceles right triangle is , what is the area of the triangle? An isosceles right triangle is another way of saying that the triangle is a triangle. Now, plug in the value of the hypotenuse to find the height for the given triangle. Since the base and the height are the same length, we can then find the area of the given triangle. Corban University, Bachelor of Science, Education.